If you are looking for a luxury waterfront living experience in the heart of the Las Olas district, than The Symphony Fort Lauderdale will be music to your ears. These beautiful and exquisite 22-story towers offer the very best in modern design and community amenities. The design of The Symphony fits the old world European-style architecture the Las Olas district is famous for. Located at 610 W Las Olas Boulevard, you will be just steps from all that downtown Fort Lauderdale has to offer. Units are now available in one, two, and three bedroom floor plans ranging from 823 square feet to 1,499 square feet. Prices range from a very affordable $310k to $639k. The Symphony offers a myriad of benefits including relaxing seclusion, waterfront living, and close proximity to the cultural center of Fort Lauderdale. Luxury residences in The Symphony come standard with deluxe ceramic tile in foyer entrances and wall-to-wall carpeting in other living area. Kitchens come equipped with Italian cabinetry, granite countertops, and ceramic glass cooktops. The Symphony is home to top-of-the-line stainless steel appliances and spacious terraces and balconies for outdoor dining and relaxing. Bathrooms include designer fixtures, ceramic tile flooring, full height vanity mirrors, and glass-enclosed showers and soaking tubs. Every residence at The Symphony is pre-wired for high speed broadband internet and smart home technology. In addition to the beautiful amenities in each room, all community members at The Symphony can enjoy a cacophony of luxury lifestyle options. A professional 24-hour concierge greets every guest and community member ready to handle every request you may have. Relax in the billiards and game room, or bring your friends over to the club room for a catered affair. A full-sized theatre with projection screen is great for watching the latest film or the game in style. A state-of-the-art fitness center caters to those with an active lifestyle and is home to a spa and athletic treatment rooms. Get a tan on the perfectly landscaped sun deck adjacent to the heated pool. There is also plenty of room for your furry friends, and a lawn and garden capable of hosting large events and celebrations. In addition to the wonderful lifestyle at The Symphony, its location in the heart of the Las Olas District provides you with the very best in dining, shopping, entertainment, and cultural attractions. The Symphony is just a block away from Cooley’s Landing Park as well as Esplanade Park. It is also across the street from the Broward Center for Performing Arts and a short walk from the Museum of Discovery and Science and the Fort Lauderdale Historical Society. Centrally located between US-1 and I-95, The Symphony offers easy access to Miami and Fort Lauderdale International Airport as well as other bustling communities in South Florida. 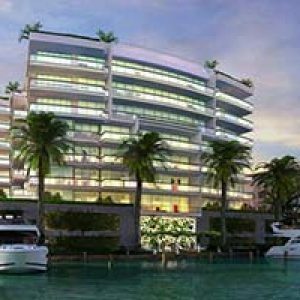 The Symphony luxury residences in Fort Lauderdale will definitely strike a chord with your lifestyle!